Want to work on an organic farm? WWOOF may be for you! InterExchange offers World Wide Opportunities on Organic Farms (WWOOF) membership as an optional add-on for participants who sign up for InterExchange Work & Travel Australia or Work & Travel New Zealand programs. In 1971 Sue Coppard, a secretary living in London, created Working Weekends on Organic Farms (WWOOF) as a way to give individuals access to the countryside and the organic movement through volunteer exchanges. While the name has since changed to “World Wide Opportunities on Organic Farms" (and you'll still see variations of the acronym in certain places) the idea remains the same: contributing on an organic farm in exchange for room and board. WWOOFing networks exist all over the world. 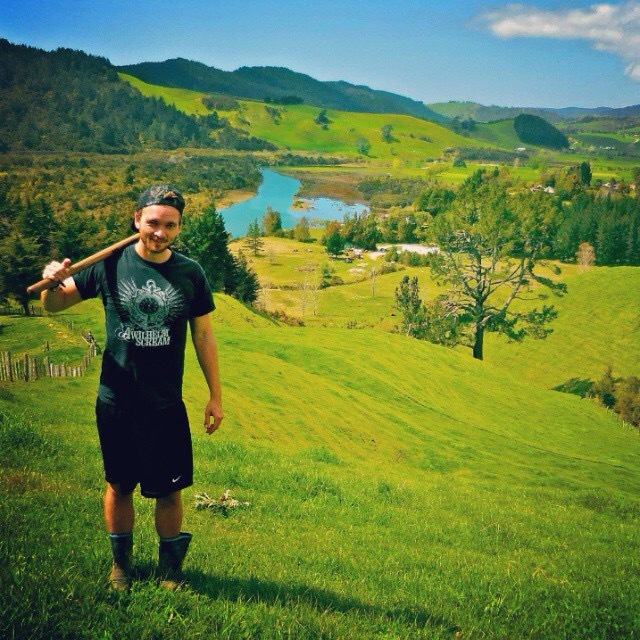 What does it mean to WWOOF? Specifics can vary but the exchange is often based on four to six hours of work for a full day’s food and accommodation, usually in the host’s home. Hosts and volunteers negotiate the duration of a stay in advance, at which point a volunteer should ask for information about specific tasks expected. These may include sowing seeds, planting, feeding, composting, milking, general maintenance, and other activities. How do I pick a farm? Once you join a regional group, you'll receive access to listings of host farmers in the region and can reach out to them directly to discuss availability, tasks, and anything else you’d like to know about living and contributing on their farm. How do I WWOOF during an InterExchange program? InterExchange offers the option to add WWOOF membership in its Work & Travel Australia and Work & Travel New Zealand programs. Prior to your arrival, you'll be provided with online access to contact information for WWOOF hosts in that country. Once you arrive you'll receive a hard copy of membership information. You don’t have to WWOOF during your program, but we recommend giving it a try at least for a week or two! Why should I WWOOF during my Work & Travel program? You might have decided to take part in a Work & Travel program so that you could earn money during your travels in Australia or New Zealand. So why volunteer during your program? Your Work & Travel program lasts for up to a full year, whereas you can WWOOF for as short as a few days or weeks. This can be a nice way to structure a portion of your travels while taking a break from the job search. WWOOFing can increase your access to a specific region. While sometimes it’s difficult to secure work in a very particular location, WWOOFing can be a window to at least living there like a local for a stretch of time. WWOOFing allows you to live at minimal or perhaps no cost in a location you choose. It’s a great way to meet new people! Last but not least, WWOOFing can give you hands-on skills and the satisfaction of contributing to an important cause – the organic movement! Read more about the InterExchange Work & Travel Australia and Work & Travel New Zealand programs.